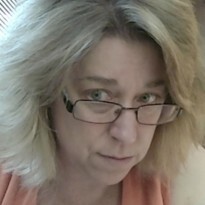 Dark fantasy and horror author. I've long been accused of telling stories, which is a southern colloquialism for lying. This novel rocketed me right out of my chair. It's that good. I think it’s wonderful to see something fresh brought to the fantasy genre, and Stina Leicht does it with flair.Set in the 1970s when the Provisional Irish Republican Army (IRA) and the British Army (BA) clash, Leicht’s story opens with action that doesn’t stop until the last page is turned. Ireland’s Fey are at war with the Fallen, and as that conflict escalates, so does the confrontations between the IRA and the BA. Caught up in the war zones from both sides is Liam, a young man who always assumed that his protestant father was dead. 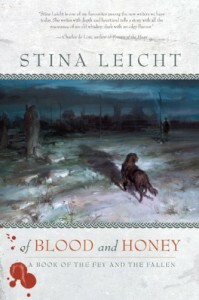 When Liam is wrongly accused of participating in a riot and is arrested, his mother turns to her old lover and Liam’s father, a member of the Fey, for help.Told with the fierce voice of the Irish, Leicht takes the reader deep into Northern Ireland’s Troubles through Liam’s experiences. She pulls no punches and shows both the IRA and the BA in all their brutality while never losing sight of either the old Celtic religion or the new (Christianity). It’s rare to see such a masterful weaving of worlds, but Leicht keeps a tight grip on her story and propels the reader forward like a bullet from a gun.All of Leicht’s characters are rich and complex, and she keeps the surprises coming. She masterfully intertwines fantasy with reality to create a world so gritty, you feel like you’re walking Belfast’s streets. Dark and feral in its imagery, this is a story you don’t want to miss.